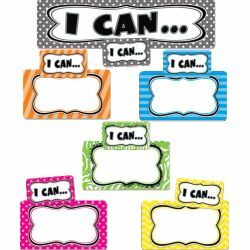 Show what your students can do! 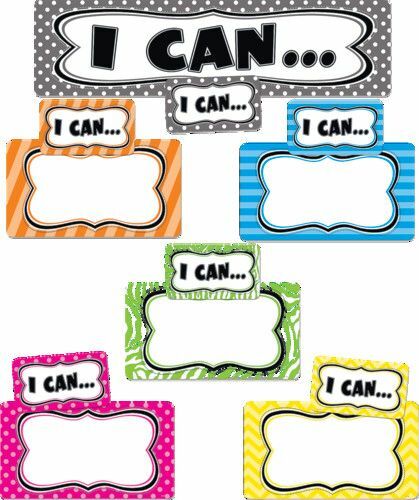 Write standards or goals that students are working to achieve in the form of “I can…” statements. Then display students' work or students' names below each statement. Includes 21 1⁄2" x 5 1⁄2" header, 10 medium cards and 12 small cards. 23 pieces.